$35k base will keep it away from the masses. 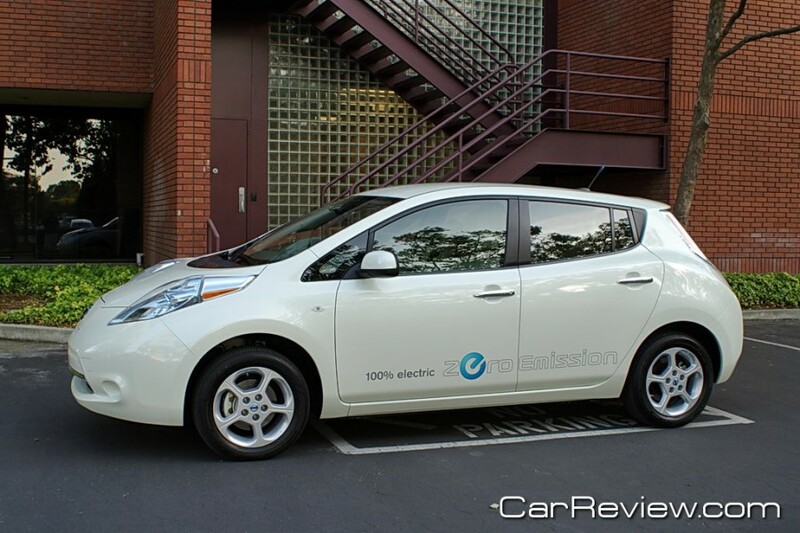 Remember the first time you rode/drove an EV? It could have been a battery powered toy car, a golf cart, or even a gas powered car converted to electric, but they all had one thing in common; acceleration like an on/off switch….no modulation. More than 10 years ago Toyota brought the hybrid Prius to the United States and it was one of the first cars with fantastic modulation and packaged in a base car that was previously gas powered. I currently have a second generation Prius in the stable and our staff was lucky enough to test the Chevrolet Volt a couple of months back. Though electric vehicles and the concept has been around for many years, the car companies are finally putting the ingredients together for EV Nirvana. First you had the gas-electric Prius, then more recently the electric-gas Volt, now comes the 85-100 mile range full EV LEAF. What’s EV Nirvana you ask? We define it as an electric-gas (Volt-like) vehicle with a 300+ mile EV range, then another 300+ miles on gas with a solar roof that would help charge the 24 KW-HR (LEAF-like) battery while in use or parked. The great news is that the three aforementioned models have traces of this EV Nirvana within their DNA. Early test and design “mules” of the Nissan LEAF used the Versa platform as the test bed and this basic structure carries over to the LEAF. The difference is the Nissan engineers have put a lot of effort into shaping the front and rear of the car for better aerodynamics and since they build the car on a low production line, the attention to detail results in what is seemingly a well built car….almost like a Versa built for Infiniti. 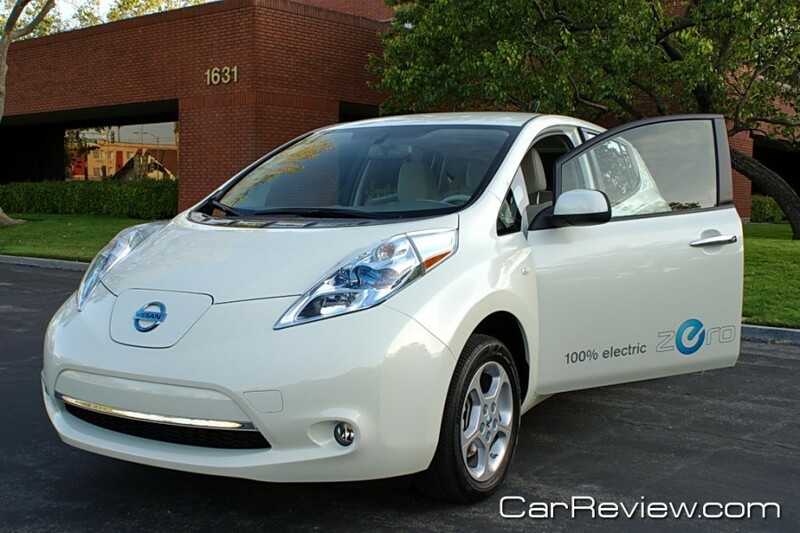 Nissan took a bold shaping approach with the lighting (LED low voltage) and bumpers of the LEAF making it stand out as a very noticeable car…nothing offensive, but it does make a visual statement. From the side the car looks pretty standard except for the large Zero Emissions decals along the rocker panels. Let’s be clear, the car isn’t a lithe and lovely BMW 3 series coupe, but you’ll read later on that it does serve the general transportation purposes well. Compared to the Volt and Prius, the Volt still reigns supreme on design and the Prius and LEAF are almost a tossup with LEAF getting the edge because of the bold head and tail lights. 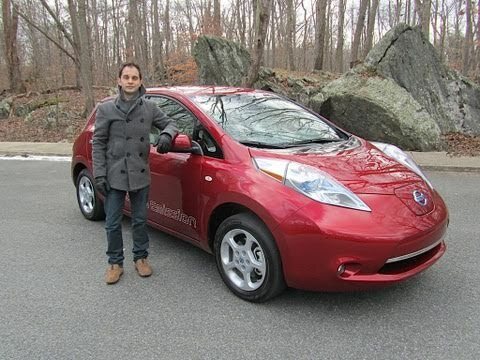 The LEAF is a little longer (mostly bumpers) and taller than the Prius though they maintain about the same wheelbase.